This past week, two events separated by thousands of miles reminded us all of how astonishing--and terrifying--Mother Nature's power can be. In Chile, a volcanic mountain named Calbuco erupted twice after 42 years of dormancy. Although no one was injured, nearly 4000 people were evacuated from surrounding towns. Pictures and videos like this one have captured the outburst in all its glory. Yet Earth's destructive capacity doesn't always entail beauty. Sometimes, it can produce profound human tragedy. In Nepal, a massive earthquake that struck near the capital of Kathmandu on Saturday has killed at least 3,200 people, with about 6,500 others injured. 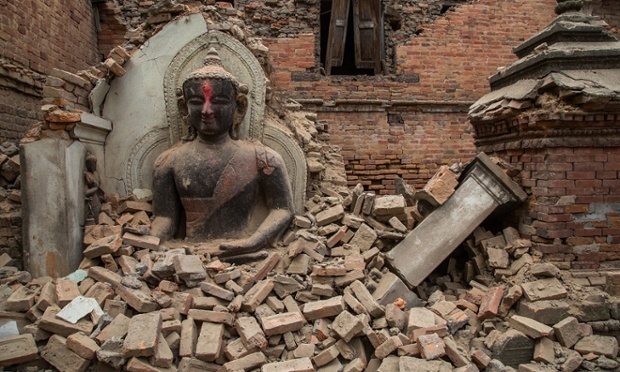 The destruction has compounded the human loss: several UNESCO sites were destroyed, and a resulting avalanche overwhelmed a base camp at Mount Everest. All too often, we forget how incredible Earth's natural forces can be--and how vulnerable we are to them. Within the span of a few days, the world learned these lessons once again.